Being situated geographically in the center of Europe Belarus suffered a lot from many wars and attacks and experienced the destructive power of the aggression. During the Second World War our country lost every third our citizen. That’s why we so much value peace, promote the ideas of friendship among people and nations. We are especially proud of the fact that Belarus currently is not participating in war conflicts abroad but providing the platform for negotiating and peacemaking initiatives. The Belarusian Fund of Peace opposes violence and promotes the value of constructive cooperation for representatives of any nation, religion or organization. We are sure that one of the main tasks for peacemaking organizations today is to extend contacts with the countries from all over the world as well as to provide the opportunities for cultural exchange and communication. The key element of the world unity is a convenient, rapid and cost efficient transport. We consider the project called “The Road of Peace” as one of the solutions to address this issue. In Belarus a great work has been carried out to provide all the communities with transport accessibility. Our organization supports this efforts and pays a special attention to promotion of environmentally friendly transport. In my opinion, the most important aspect of implementation of the project “The Road of Peace” could be supported by simplification of procedure for issuing visas. Showing our respect to the issues questions of safety and protection against terrorism we should at the same time take care of ordinary people. That’s why it seems to me inadmissible that sometimes the fees to apply for a visa exceed the cost of the trip itself. We call for free of charge visas and simplification of complex bureaucratic procedures to get them. Providing transport accessibility of countries and continents we should remember about the financial and organizational matters as well. Only comprehensive approach to this problem can really unite the countries and provide the mutually beneficial cooperation and cultural enrichment. Mr. Misko, upon completing his studies at the Belarusian Institute of Law, worked as a lawyer at several industrial factories. He is a Candidate of Juridical Sciences. 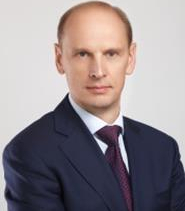 He currently serves as an Associate Professor of the Department of Financial Law and Legal Regulation of Economic Activities at the Belarusian State University. He is also the chair of one of the most prominent public associations of the country, the Belarus Peace Fund. He is married, has two sons and is currently running for election to the Parliament of the Republic of Belarus.